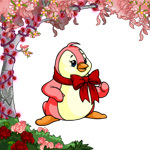 A guide to wearables, both NP and NC, for Valentine's Day! 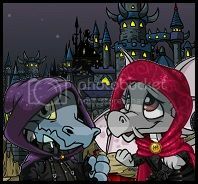 As celebration commences, I believe we should all take a moment to look back through Neopia’s history and honor some of the most underrated (and often forgotten) Lennies of our time! As this year's Charity Corner comes to a close at 11:59pm NST this Friday, we look back and reflect at this whirlwind of a weeklong event that caught many people off-guard after a break in 2016. 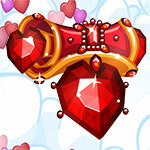 Gathered in this article are our top 10 best Valentine's Day places in Neopia! These locations also double as great places to bring friends, or just to treat yourself with a night out, so even the anti-Valentine’s Day crowd might just find their new favourite spot in this list. When Nabile first plotted with Tomos to rob the rich Kyrii nobleman who had come to ask for Princess Amira's hand in marriage, she little dreamed that she would end up proposing to the selfsame nobleman herself. In her defense, she was trying to save both the cities of Sakhmet and Qasala here, not to mention the happiness of all parties involved; the flaming Baggusses was she going to let another disastrous marriage come to pass, not when she had the power to stop it… Nabile and the Pteri handmaiden entered the grand hall of the palace just as the ceremony was starting. While scouring the room for a good spot to watch the proceedings from, Nabile's gaze became arrested by the portrait of a strikingly familiar Pink Ixi. She unconsciously drifted towards it. The smiling young princess depicted in the image was affluent, contented, and carefree — not adjectives Nabile would normally have thought to associate with her mother, who she remembered as a bitter, acerbic woman with pretensions of grandeur. Contrary to what faerietales would have you believe, the premise of "beautiful princess falls for lowly commoner" did not always end in happily-ever-after. 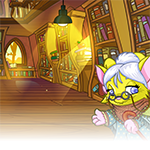 I wrote this piece in hopes of inspiring a way to use up the sheer volume of unusable PB clothing in Neopians' closets.